Technology is changing our industry, on all fronts. 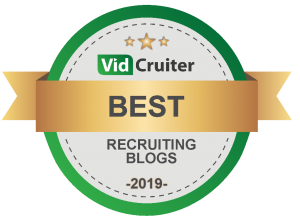 And of course, we are seeing the arrival of a myriad of online recruiting offerings, each claiming to be the beginning of the end for traditional recruitment. Candidates are not an online commodity. Some people would have you believe they are. LinkedIn for one. Freelancer.com and their ilk too. Oh yes, you can identify talent via digital. But actually recruiting someone you have ‘found’ is a whole different matter. It’s a romance. A seduction. And that is where the magic happens. Technology will never replace recruitment. It will drastically change the talent identification and sourcing function, the screening and even the interviewing function. Technology changes the mode of service delivery for third party recruiters, that is for sure. Securing the best candidate is not the same as buying a movie ticket on the Internet. And so, in recruitment, we are not like Amazon or iTunes or any of the sales channels you find online. You can buy a dress online because a dress does not say, “no I don’t want to go with this new buyer”. But a candidate does. Candidates have opinions and options and alternatives. Candidates can be unpredictable and emotional, unlike a book you bought on Amazon, which will not want to discuss with its’ wife whether it should go to the new buyer. Recruitment is always a human endeavor, and it relies on uniquely human skills. Well, the type of recruitment professional, consultative recruiters want anyway. In fact, I believe that candidate search technologies will become so sophisticated, so pervasive and so cheap, that everyone will have them. Tracking and finding candidates on the web will become easier, not harder. It’s happening right now. Companies like TalentBin, Dice OpenWeb and Entelo, and others, have been building very clever sourcing engines, to meet the sourcing demand for hard to get skills. Far more sophisticated tools than anything the average agency recruiter has access to. Candidate identification will get easier and easier. Candidate recruiting and hiring will get harder and harder. So building relationships and managing the process via highly developed skills in the craft of recruitment, becomes the differentiator. The very best technology is critical to recruiting success. But I also believe that the craft of recruitment will make the difference. Craft? Yes. I am talking about the nuanced skills. Persuading, prepping, negotiating, finessing, listening, negotiating, understanding, and managing both the client and the candidate. This will still have a value. Increasingly so, in fact. As much as the technology. More so, eventually. Lets take ‘counter-offers’ just as an example. I predict it for years and now ist come to pass. As the economy improves, and the inevitable skill-shortages really started to bite, top talent will know their value. So will their employers, and so every offer you get will be subject to a counter offer. Or at least 9 out of 10. Most recruiters I know have no idea how to predict, prevent, and manage a counter-offer situation. It’s a subtle skill that only a great recruiter can finesse. That is where, for the agency recruiter, the sweet spot lies. Where you can give your clients something your clients cannot get themselves. And do you for one moment think LinkedIn or Seek or Freelancer.com or any other technology platform will provide these subtle human skills, wrapped up in the craft of recruitment? 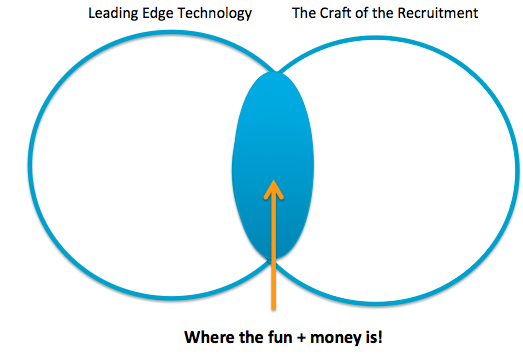 And so, the future of recruiting is where technology meets the craft of recruitment. What has actually happened is that technology has disconnected the recruiter from the client and the candidate. Often the recruiter hides behind technology. The recruiter has become more remote from where the recruiter can actually have an impact! We are being pushed aside, being made less relevant every day, and we are allowing it to happen by dumbing down the process. We use technology when we should use personal interaction. 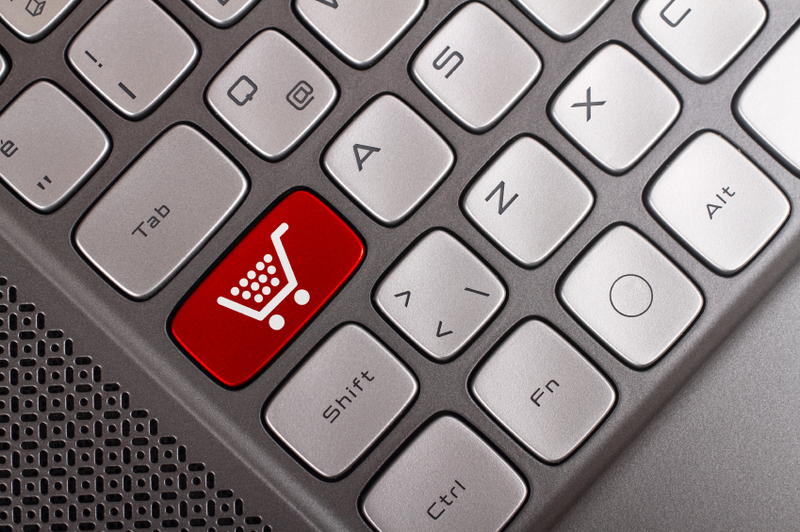 Allowing clients to send us job specifications electronically, which we then start to work on. Emailing a shortlist to the client with no verbal commentary or insights added. Long emails to candidates about the job and why they should take it. Where is the ability to have an impact? To create outcomes? The work many recruiters do amounts to little more than key word matching. They are not sophisticated in technology use, in social media, in talent acquisition or even in the old school skills of the craft of recruitment. These recruiters are stuck in no-mans land. Not technologically strong, and not strong on true consulting skills. That is why so many recruiters are in so much pain. So I would build my business model to operate in complete opposition to transactional recruiting. Leave that to the big scale, low margin players, or the online solutions that add zero value. In fact, the smarter direction is to build a model that works on exclusivity, retainers, commitment and partnership. This is not new. In fact it’s as old as recruitment itself. But we have lost the ability to sell it. We have been taken in by the fact that what I am suggesting is difficult. But the reality is the ‘easy road’ of multi-listed, contingent, resume racing, ambulance-chasing, transactional, dog-eat-dog, trench warfare recruitment, is in fact going to be more than ‘difficult’. It’s going to be terminal. I repeat. The future of recruitment is where highly sophisticated technology meets highly tailored and influential human interaction. That is where we turn work into money. Could not agree more Greg!!! The likes of Kevin Wheeler 'Futurist' et al... that believe recruitment is as simple as identifying experience, skills & behaviours and... voila!!! We deal with people, not robots, pets or even screws. The 'craft of recruitment' as you so eloquently put it is key and will be what enables our industry to prosper & grow!!! Bravo Sir! I agree with you totally Greg. This is also extremely apparent and holds true for the Job Seeker. Another example of how technology has changed recruitment behaviour in the negative sense. In the old days candidates used to call a consultant to sell themselves a little before applying for a job. Instead, today, with smart devices and technology, the tendancy is to email as many resumes as possible in the shortest amount of time from the ferry/train - iphone in one hand and cappuccino in the other.. Yes it is imperative that all partners in the recruitment process (candidates, recruiters and clients) think more about influence and consultation rather than commodity-driven activity. How refreshing to see in words what professional recruiters know and and are proud of. How interesting that the enlightened clients also "get it". I will ensure every one of our recruitment and search team read this to reinforce that what they are doing makes them a professional and stands them apart. Thanks for the reinforcement Greg. I identify with what you are saying Brian and we only work with exclusive listings and have done so for a number of years. Our clients often commend our service remarking on how accurately we place people within their organisations across both temporary and permanent. I am still finding that our business is shrinking with what appears to be major cost constraints within client organisations causing them to do more and more of the recruitment processes themselves - including even advertising for temporary vacancies of late. We have strong value propositions, recently updated our technology to the Cloud - electronic time sheets etc and still finding it incredibly difficult to secure new business. How do you get around these challenges? I can't agree more. Clients can get the same technology and search sites but our value lies in the interaction and seduction of clients and applicants. Our clients don't have the time to try on 50 dresses before they buy. We have to do the selection according to fit, form and application and give them the best 3 dresses .....I always say to my clients, we deal with the most unreliable commodity on earth. You can't pick a key staff member like you pick a dress from an online catalogue. great article as ever - one for the "keyboard clicker" generation which seems to have evolved in recruitment in recent times ! 100% Spot On. Awesome Article!!! Greg, Absolutely SPOT ON as always. I have been banging on about this for more than 5 years, that technology can help in-house recruiters source talent but they will still struggle to make the hires because they dont have the impartiallty and soft skills. This is a process that is being rolled out globally having been started in the USA. More transactional based, Low Human Interaction (LHI) equals more profit for shareholders. BUT..... When the computer says NO these people are stumped! This is not just a recruitment problem, it is global business now-days, but the people in the Sweet Spot (Where the fun & the money are) will still do great things. Maybe this is a great thing for our industry so we can get rid people who dont understand OUR business? I've been saying for a long while now that technology is destroying creativity - and that's where, to me, the problem lies. So many recruiters it seems, are under the impression that as long as you cut & paste a job description onto broadbean and fire it out to 100 job boards that success is guaranteed. They then scratch their heads when the response they get in terms of quality is poor. It also annoys me when I hear people saying that Facebook is the place to find people - after all it has over a billion members. Either that or Linkedin for similar reasons. It's not about numbers. Never has been. It's about targeting and attraction. Back in my days working at recruitment advertising agencies we worried about two things. First, getting the message right i.e. putting out advertising with some kind of allure that not only got seen by the right people, but also those who maybe even weren't actively looking for a job but were sufficiently intrigued by what the advertiser had to say that they felt compelled to apply (in fact those were the people we most wanted to reach). Second, and this was just as important, if not more so than the first - identifying the right media i.e. targeting very carefully where we advertised rather tha firing it off scattergun style into several random publications. If the modern day adage that the more people the reach the more likely you are to find the right person is (and it's skewed logic by the way) we would simply have put every job advertisement in the newspaper with the largest circulation. That would mean we'd have advertised in the UK in The Sun and the Daily Mirror and nowhere else. But, guess what? Those two newspapers spent years trying to build up successful recruitment sections but by and large failed because the make up of their readership was such that it just didn't reach the right people. It was fine if you wanted a security guard or maybe seasonal sales staff, but anything else, forget it. Going back to Greg's original point, I agree wholeheartedly - technology will never replace recruitment. However, there is a danger, a trend even, in current thinking amongst many in recruitment, that it already has. How many job ads do you see lamely put together, grammatical errors and all, and fired out onto as many job boards as £100 will buy you? How many of the 'authors' of those ads sit down and think to themselves "would really apply to this ad or am I just going through the motions? How many take the time to consider what would inspire them to respond to someone else's ad? People are human beings with emotions. Every buying decision in life is an emotive one. A house, a car, a holiday. Even which brand of beer or ice cream you favour has probably been influenced by advertising. So why not jobs? Why did so many people kill the allure and the targeting and suddenly rely on a warped numbers game, a quick cut & paste and a few clicks of a button? Technology wn;t replace recruitment, but it is slowly destroying its creativity of thought. As usual right on target !! Great article Greg. Thank you for putting so clearly into words what so many of us feel in our hearts and minds. Can you see a world in the not too distant future where candidate databases / ATS will no longer be de rigueur for agencies? Your thoughts have been swirling around in my brain for at least a couple of years - but I haven't been able to put them together so coherently - thank you! This blog article is SOLID GOLD!! I am new to your blog Greg but I am very keen on your insights on the recruitment industry. This is so true. 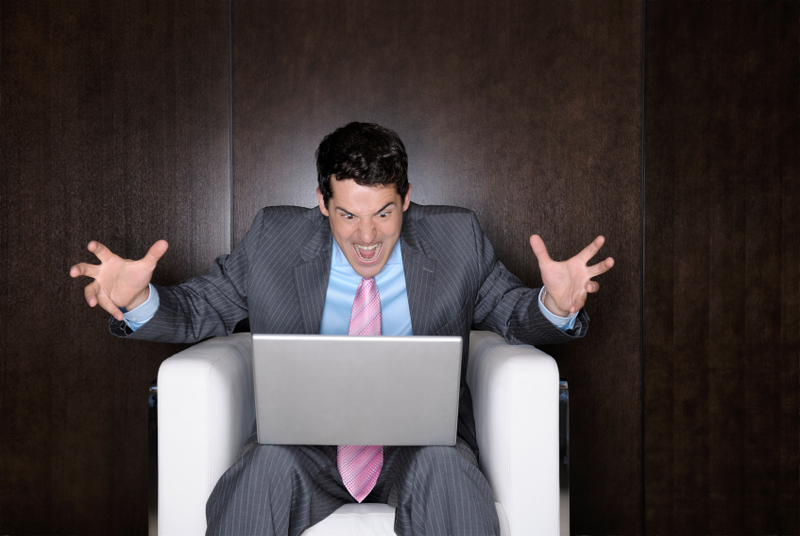 There are so many CV senders and e-mails going around and not enough human interaction. It is an art to influence our candidates and clients and one that should be taught to all rookie recruiters starting out in the business. Greg, I agree wholeheartedly and am working through a rigorous re-engineering process in my recruitment business after 20 years of working the old way! Much of what I am changing has been influenced by your message and seminars combined with wider research and reading around global trends in recruitment. Our technology is now up-to-date, in the Cloud and working really well but it is only an instrument enabling me to work faster and in more depth re sourcing - all essential if my business is to be relevant moving forward. My question to you though is around the huge challenge now in getting the message across to client organisations who have largely been moving their recruitment processes internally due to cost constraints combined with the accessibility of technology for sourcing. We have clear value propositions, are using social media sites to spread that message but still finding it very challenging - any thoughts? I sound like the rest of your fanclub Greg - but totally agree with you! In a nutshell - putting the "human" back into "resourcing"!!! Another great article Greg, absolutely spot on. I'm not a recruiter but I have been a candidate and Hiring Manager over the last 20 years and this article echoes what I have believed throughout my career, recruiting is ultimately about human interaction. Personally I also like the car analogy; companies always put the great looking, polished cars in the showroom window; they don’t just stick a poster up with a list of “bullet point” specs for the car. That’s reserved for the brochure or small sign next to the car. Once seduced by the imagery, you go in to find out more and that’s where the salesperson comes into their element. Chances are you have already done your homework on the internet, read the reviews, watched the videos. I see many similarities for candidates and recruiters today. To get the end result, buying the car or getting the job, you have always got to talk to someone. Attract, engage and convert Technology is great, it makes it easier to do certain tasks, faster to complete even automate them and we know that it allows us to reach further than we could have ever anticipated before. Yet it’s only as good as and delivers what we as Humans put into it! Write a shoddy job advert, post it (thanks to technology) to a gazillion job boards and don’t be surprised with the quality or volume of responses. Don’t understand your target audience, or where they live and breathe then don’t be surprised if you can’t attract and engage with quality candidates. Recruitment as I see it is actually a set of different skills and processes at different times in the hiring cycle, Attract, Engage and Convert. Recruitment technologies have merged these into one solution that is process driven and computerized. It’s moved the previous interaction between humans to now be an interaction between mouse and screen. It’s lost recognition of the fact that candidates are consumers every single day of their lives, they’re not always candidates. The successful recruiter today is one who can take some of the consumer experiences and apply them to the candidate job search. Companies that will succeed in the fun and money space, eloquently described by Greg, will be those that can see the potential in all of the technology that’s out there and instead of being driven by it, actually start to drive it and be creative and innovative with it. For example, candidates always want to talk to somebody, they want to qualify what they see, they want to feel engaged and that someone’s got their back, so why would a recruitment company not have a live chat opportunity on their website; it’s not expensive to implement and suddenly, you have a modern communication channel that allows you to engage and move the conversation to a new level. Forget the Contact Us, it’s another “black-hole” as far as candidates are concerned. Recruitment companies that can get creative have a real opportunity because the one thing in their favour is that for candidates, despite some companies moving their resourcing model in-house, they’re not doing it any better in reality, they still don’t talk to anyone! How I long for the olden days in Broadgate Circle, London, when as a candidate my recruiter would be buying me a pint, talking about the football and how this job had my name on it (I know he probably went to the next pub and told another candidate the same thing) but for a little while I had hope! Great article Greg, thanks for indulging me. Spot on Greg. For what it's worth when I bang on about this stuff (and I've met enough over-confident internal recruiters for that to be quite a lot…) I call it the paradox of choice. Disintermediation through technology has been enabling more people to find more candidates, more easily, and at the same time more candidates to find more opportunities directly, more easily - year on year. But that just means open roles can get more candidates than they otherwise would, and over time (more importantly) candidates will get approached about roles more often. With more perceived choice at each end of the process, in reality each party actually has less choice - as they've less ability to control or influence the process and outcomes, and stand out from the crowd. That makes our roles as recruiters more important in the future, not less - navigating this noise and complexity as their trusted advisor. Or at least some of us will - the CV and account farmers I'm not so sure about eh… they might well get Amazoned, if they haven't already. "Candidates are not an online commodity".Outstanding message for all genuine recruiters ,clients and candidates. Thank you for being our voice! Greg, thanks as always for your insight. Spot on, as usual! I don't think anyone can disagree with your conclusions Greg, but the challenge for the existing industry is that the overlapping space in your Venn diagram is very small! The industry is going to shrink dramatically. There is another major secular trend working against the recruitment industry beyond the use of technology for candidate search and candidate-job matching. The first is that talent is actually becoming less important for companies. The percentage of corporate profit accruing to labour has shrunk in the last 10 years. Big companies can make a lot of money from a small pool of talent and plenty of capital and automation. For most roles, particularly in back-office, large corporates just don't care that much about the quality of the person in the position, they are planning to replace them with an algorithm soon anyway. The reality is that recruitment craftspeople are expensive and if companies don't care that much about who they end up with, and don't expect them to stay, they will not want to pay the bill. Recruiters really have to narrow-in on the mission critical roles in organisations if they want to survive, and be able to offer a healthy dose of consulting with their recruitment service. They have to demonstrate that they can impact their client's top line. In the meantime there will be wholesale carnage of anyone who can't find a value proposition. Like in the management consulting world, most of the mid-tier will be wiped out, big recruitment firms will either replace 70% of their staff with technology or be kicked out of the market by IBM or Google. Mid-tier firms that can't keep up with the pace of technological evolution will die. Small firms that already succeed by being half-management consultant, half-headhunter will continue to survive or even thrive. Fun for some, miserable for most. Excellent insight Greg you are preaching to the converted! I really enjoy reading your blogs, good mental protein! Agree with you Greg on this one. I have always said we are in the relationship business. Great blog again Greg! I am also so pleased to see so many recruiters on the same wave length! Great post Greg. Candidates are not a commodity any more than they are a consumable resource. Technology helps us connect faster but it doesn't necessarily build relationships. We need solutions that can. We need to continually find ways to engage candidates in employer brands mindful that candidate expectations and understanding of an opportunity is partial and open to change. We bring value to our clients, managers and candidates by finding ways to align brand values, job opportunities and candidate expectations and fit. This requires relationship and understanding. It represents way more than simply identifying talent. Please keep up these thought provoking posts. Love 'em! Excellent article. Top notch. Spot on! Absolutely agree... particularly with reference to technology enabling easier identification of candidates. Have never been a fan of template bulk emails to source interest... wherever possible, with time permitting, I believe a personalised message which demonstrates a genuine interest in that specific individual will always have a more positive outcome. #Andrew Kable# - some thought provoking and interesting comments! Good article Greg. Some responses here are measured, but some are people trying to hold on to an outdated model. I liken it to the music industry where a model was used for decades that was quite frankly deceptive, manipulative and served no purpose other than to line the record companies pockets. Now the recruitment industry is not quite that bad, but be sure that it is not a highly regarded and trusted industry other than those inside the industry. Speak to anyone who isn't trying to be pragmatic and the expletives fly. That is both from the job seeker and the employer. And really $20-30k to 'filter down' candidates for a 120k job? Really? And in many cases the result is not that great. And i can see the steam rising from the ears of recruiters, but it just isn't worth that much. Technology is changing and coming up with new ways to match, and find talent. Technology is attacking the monopolized, labor intensive and over priced industries at a rapid rate and recruitment is a prime candidate. Think music, taxi's, accommodation, etc etc. I agree whole-hardheartedly that you need a marriage of both technology and 'real' in person, but I think to over-emphasize the in person element is over-estimated it. Us 'oldies' may think you will never replace face-to-face but my 3 teenage children and all their friends beg to differ. Not totally of course, but the relationships forged digitally are way beyond what we think. The next generation will be conducting meetings, interviews etc online. They will even have programs that analyze video footage of body language etc.They will know virtually everything about the person they are talking to but never met. References automatically checked, etc. They pay nothing for music, virtually nothing for movies, interacting with people, and it takes next to no time. When i tell them how much it costs to recruit a middle manager they can't believe it. So there may be some dismissing technology, but i can guarantee this. Keep thinking the current model is going to sustain your recruitment business and you will go hungry. And very quickly. And a quick disclaimer. We are developing a new platform that assists in the transformation. It doesn't entirely replace the old model, but it weeds out the needless elements. This should leave a mix that will cut the costs of recruiting. And if it isn't us who gets it right, someone will. Not if, when. 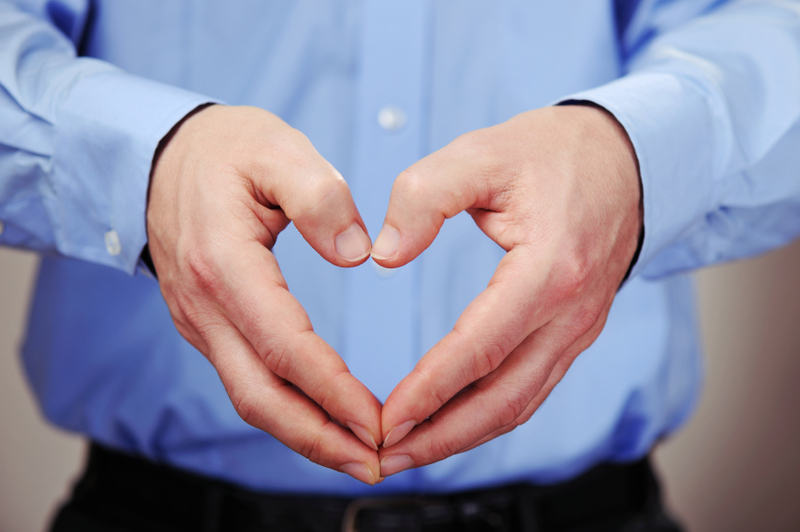 7 ways recruiters will learn to love their KPIs!